When it comes to the holidays, things get busy and you can easily become distracted and forget what is open and what is closed. For a large portion of holidays banks, post offices and the stock market are closed. However, what about the other places, like retail stores? Some stores, like Target, are closing for the Easter holiday. Many banks will be closed because the holiday falls on a Sunday. Post offices will be closed for the same reason. The stock market will recognize the holiday on the Friday before Easter (Good Friday). However, the closings make people wonder if some of their favorite places to shop will still be open. Costco, a leading retailer in the United States is known to observe some of the less popular holidays. Will the wholesale club be open on Easter? Costco is closed on Easter Sunday. Costco closes on a few holidays throughout the year and Easter happens to be one of them. The wholesale retailer will be open regular hours throughout the week of Easter, but they will close on Sunday, April 21 this year. When Do Costco Stores Close? If there is a local store near you that you are wondering about, you can always call and ask about the hours of operations on Easter. 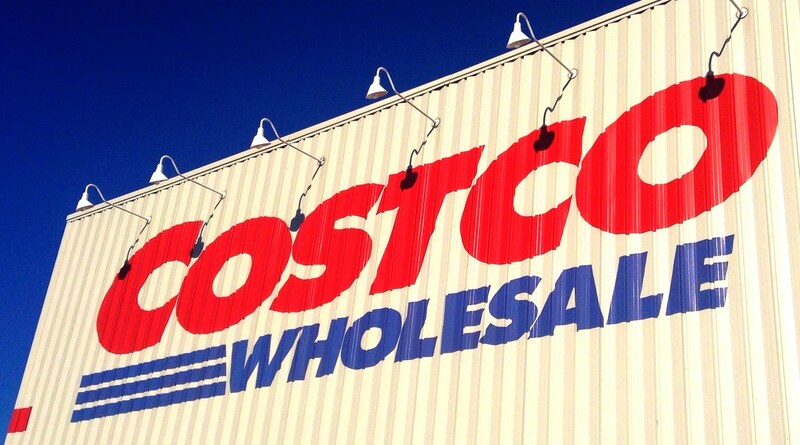 While Costco will be closed on Sunday, other retailers are open. Because of this, it is a good idea to call ahead or check online or check here to find out what’s open on Easter Sunday. However, no matter what your needs may be, Costco will be open on Monday to fulfill them. Costco pizza is extremely popular among members and non-members. In fact, many travel to Costco just to buy a slice or a whole pie. Like everything else at Costco, you may find your pizza a little bit larger than normal. How many slices does a Costco pizza have? Eight large slices. You can request they cut your pizza into eight, large slices of pizza. You may find these slices a bit too big to handle though because Costco pies are quite large. Standard Costco cut (12). Employees are asked to cut each pie into 12 slices if the customer does not specify otherwise. Double-cut (16). If you’d like even more slices of pizza out of your Costco pie, ask the employee assisting you to get it double cut. Then, you will have 16 slices of pizza. Despite the pizza being cut into more slices, you still get a decent slice of pizza. You may even find you can feed more people swinging through the Costco food court than grabbing one to bake at home yourself (even though they are the same size). Where quality and taste are concerned – Costco manages to make a frugal, cheap meal one of the tastiest you’ll have all week. As mentioned in the video above, they don’t skimp on toppings either. Whether you want cheese, pepperoni, or another combination, it will have the perfect amount of everything in every bite. As mentioned above, you can order a Costco pizza through the store’s food court window. You can nab a cheesy, delicious pizza a few other ways too. Take-n-bake. Costco also provides its pizza unbaked for you to take home and make yourself. This is a good option if you’d like to add some additional toppings at home. Order at checkout. If you’re at Costco shopping, you can stop at the food court and order your pizza before you do your shopping or you can add it to your total at checkout. The order will go over to the food court, and you can pack up the car while your pizza is prepared. Call ahead and order. Costco also allows people to call the food court ahead of time and order a pizza. All you have to do is leave your name and whether you’d like pepperoni or cheese. When it comes down to it, Costco pizza is a great low-cost (and low-maintenance) meal to include in your family’s weekly meal plan. At $9.99 for 12 slices, you can’t beat it! Readers, do you enjoy Costco’s pizza? Costco is one of the major retailers which closes its warehouse doors more often during the year than many other retailers. However, the Costco holiday schedule includes more closed days than, say, Walmart. The company doesn’t follow a federal holiday schedule but there are certain days they will not be open – and it is different from other retailers – so it’s important to check before you head out. While they don’t close for every federal holiday, they do close on some holidays to let employees spend time with their family members. Since Costco is often a destination store, it’s important to a lot of people to know the Costco holiday schedule, especially if you need to buy holiday supplies. While Costco is open on both Christmas Eve (Tuesday, December 24) and New Year’s Eve (Tuesday, December 31), the store closes earlier than on a typical day. The stores close at 6:00 p.m. on these days instead of the typical 8:30 p.m. This can be important to know if you need to make a last minute run to the warehouse. Some warehouses may also extend hours during the Christmas shopping season. It’s important to note that the above holiday schedule and hours are general. There are exceptions to the rule, so verify with your local Costco if you have any questions. In addition, these are all planned closures for 2019. Other events, such as severe weather, may close a certain store during the year on days which aren’t listed above. It’s also important to note Costco warehouses and Costco business centers are not the same, and they may have different hours. Is Costco Open New Years Day 2019? Costco are busy throughout the year, especially during the holidays. Not only are people looking for great after Christmas deals, but they’re also heading to the store for returns. Fortunately, we have good news and bad news if you’re wondering if Costco is open on New Years 2019. Costco is one of the very few retailers that close on New Years Day. However, Costco also remains closed on many holidays other retailers do not, including Memorial Day and Independence Day. Costco’s store hours on weekdays run from 10:00 a.m. – 8:30 p.m. and 9:30 a.m. – 7:00 p.m. on Saturdays. However, they close earlier on Sundays at 10:00 a.m. – 6:00 p.m. Although Costco is not open on the first day of the new year, it is open on New Year’s Eve, so you still might have time to grab what you need until they reopen on January 2. Take note they close their doors earlier than the usual, so you might want to get there before the crowds start cramming in for last-minute items. The holiday schedule above is general and might change. Plus, there might be exceptions to the rule, so it makes sense to verify with your local Costco if you have any questions. It’s also important to remember that Costco warehouses and Costco business centers do not share the same schedule, and they may have different hours. For many people, the best Costco wines are Kirkland Signature wines. Because it’s the Costco store brand, it’s also the wine that usually comes at the best price. Plus, a lot of this wine can be traced back to bigger brand names that have a good reputation for great taste. Here’s what you need to know about Kirkland Signature wines, as well as some other options worth considering for your next dinner party. In other words, if you have a favorite basic type of wine, there is a good chance you can get the Costco brand of that same wine. Of course, just because many people think that the best Costco wines are the Kirkland Signature wines doesn’t mean it’ll be your favorite. Luckily, Costco offers great deals on other wine, too. In fact, they are reportedly the largest wine retailer in the United States. They are also the nation’s biggest retailer of Dom Perignon champagne, and they purchase more Bordeaux than any other seller in the country. Moreover, Costco is known to only mark up their wine by 15% or less. Many stores add markup costs that are at least twice that percentage. Therefore, you can get some great brand name wine at prices that are significantly cheaper than the same wine if purchased at a competitor’s store. Notably, these are all red wines. If you prefer white wine, their best recommendation is the 2015 Stonestreet Estate Vineyards Chardonnay Alexander Valley. When determining which are the best Costco wines for your home, think about several factors. Price is important, but it’s not the only consideration. With a luxury item like wine, you also have to consider personal taste. Therefore, you should review the options at your own Costco store. Then you should compare the prices to other stores in your area. You will likely find that the price on your favorite wine is lower at Costco if you can find it there. Oh, and by the way, you don’t even have to have a store membership to purchase the best Costco wines in many states. Check your state to see if they allow alcohol sales without a Costco membership. Do you have a favorite Costco wine? Share your thoughts in the comments below.